A year after his impressionistic, award-winning and critically-lauded ECM debut Into The Silence, Avishai Cohen’s Cross My Palm With Silver (May 5th, 2017) introduces a programme of new pieces which put the focus on the ensemble, on teamwork, with an exceptional quartet featuring Yonathan Avishai (piano), Barak Mori (bass) and Ziv Ravitz (drums). 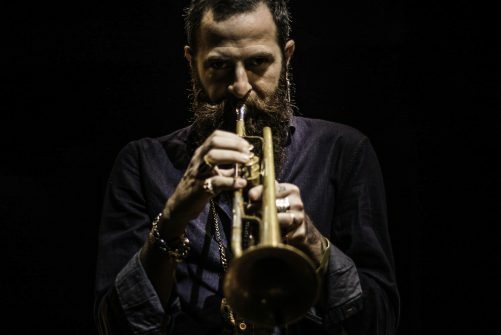 The adroit interplay among the musicians allows Avishai Cohen to soar, making it clear why the pure-toned trumpeter is one of the most talked-about jazz musicians on the contemporary scene. This is a seated show with limited standing.